As a writer, I try to make sure that I’m constantly working on enhancing my content and making it better. Not just for my blog posts but for my manuscripts as well. For those of you that don’t know, writing is one of my greatest passions. I’ve written two 100,000 (approx.) word manuscripts. And I’m working on my third as I write this post. I’ve seen how my writing has improved over the course of these three manuscripts and the course of a year and a half. That’s why I’ve put together this post of ways you can improve your writing. My first piece of advice for ways you can improve your writing is to write as much as you can. The more you write the better you will get at it. You’ll learn ways to make your grammar better, you’ll get a better handle on your voice and style of writing, and your writing will reflect that. So, try to make time for your writing every day even if you only have 10 minutes to give. All that time will add up and you’ll see it in your work. When I was in high school, English was one of my least favorite subjects. I wasn’t good at anything related to writing, grammar, etc. Back then, I didn’t know that writing would become one of my favorite things to do in my free time or that I’d want to eventually publish a book one day. Since I have started, I’ve learned common grammar errors and how to find them in my own work. You want to make sure your grammar is on point. As someone who is an avid reader as well, I usually turn away from books/stories with many errors. Not because I am being judgemental, but because the errors distract me from the story itself, thus preventing me from enjoying the read. You can find a list of 30 common grammar mistakes here. 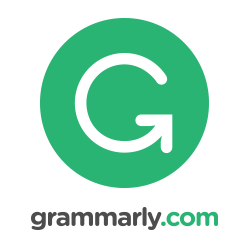 Grammarly is also a great tool that can help you with punctuation, spelling, and your grammar. You can read my post on why Grammarly is so awesome here and if you want to give it a chance, you can get the free version of Grammarly here. Editing is tedious, but it’s important and that’s why it’s on my list of ways you can improve your writing. Your first draft is not going to be your best. You’ll need to revise and fix things like plot holes, character flaws, grammar, etc. You’re going to need to go back and edit. You can start by doing this yourself a few times. In fact, having some beta readers to help point out problems may help you see what you need to fix. If you’re unsure of what a beta reader is, you can check out my post on beta readers here. Without editing, your work won’t be able to shine to its true potential. With my manuscripts, I’ve seen how helpful even one round of editing has been. It’s likely that you’ll find yourself editing your work multiple times before you’re truly happy with the outcome and before all the flaws have been worked out. It’s true when they say that in order to be a good writer that you need to read a lot. This is a great way to expand your knowledge when it comes to your own writing. All around, it will help you with your writing and even offer you inspiration for your own work. If you can, try to always be reading something. Normally, I take a break from reading when I’m in the midst of writing a manuscript only because I don’t have time to do both. But, at times, I’ll take breaks and do some reading. Then, when I’m finished my manuscript I’ll read as much as I can before starting my next manuscript or editing. Using a cycle like this works best for me. You just have to find out what will work best for you and your schedule, too! You may be wondering why this is on my list of ways to improve your writing, right? Well, by staying aware of what’s going on around you and interacting with others, it’ll help give you the inspiration to keep on writing. You’ll see that not everyone’s story is the same and that you can create something unique for your characters, creating a remarkable story that your readers won’t want to put down. When you are writing, be sure to eliminate all of your distractions. That means put down your phone, don’t go on social media, don’t check your emails between paragraphs, silence your phone so calls don’t disturb you, etc. By remaining completely focused on your writing, you’ll be able to create better content. I also believe that your writing will come easier for you without your mind being on other things. At least, I find this true for myself which is why it’s on my list of ways to improve your writing. You don’t need to add a bunch of filler into your work to make it better or seem longer. Depending on your genre, and if you’re wanting to publish, you’ll need to stay within a certain word limit, meaning that it’ll be better to eliminate words/sentences that don’t add to your story. When you go back through and edit your work, ask yourself if each sentence (or paragraph) adds to your story/plot. If it’s a no, then remove it. If it’s not contributing then it may be only holding you back. As you can see, there are many ways you can improve your writing. And as time goes on you’ll find other little things that help you and your writing. Give yourself some time and look back at your work after you’ve implemented some of the different ways I’ve included on my list of ways to improve your writing. If I was able to see the difference in my work, then I bet you’ll be able to see it in yours too. And if you implement any of the things on this list, I hope it’ll help you be more confident in your work and your abilities, knowing that your making progress when it comes to your work. Share with me how you’ve improved your writing since you started your writing journey in the comments below!